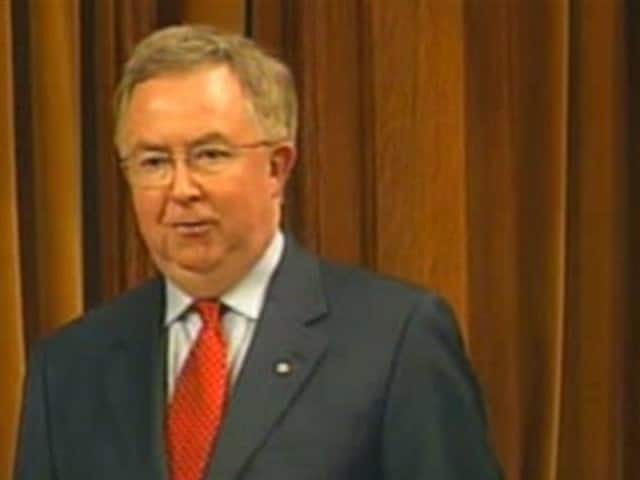 In just seven years, Joe Clark has gone from rookie MP to party leader to prime minister. In May 1979, Clark and his party end 16 years of Liberal rule, winning 136 seats to the Liberals' 114, the NDP's 26 and six for Social Credit. That means a minority government that will have to build alliances if it expects to carry out its mandate. In this post-election CBC special, Clark says he expects the opposition will give his party the opportunity to govern. • Joe Clark was leader of the Opposition when TV cameras first began broadcasting from the House of Commons on Oct. 17, 1977. Observers agreed Clark's performance in the chamber often trumped Trudeau's and other Liberals'. • A maximum of five years may pass between general elections. The Liberals waited almost until their time was up to call the 1979 election. • When the election was called in March 1979, Clark told reporters he was "quite sure" his party would win a majority. One month earlier, a Gallup poll put the Liberals and Progressive Conservatives in a dead heat with 39 and 38 per cent support, respectively. • Clark, who had been assured of his party's support at a leadership review in November 1977, largely focused on attacking Trudeau's Liberals' economic record. His campaign also aimed to convince Canadians of the need for change. • Though Clark was not in favour of the death penalty, restoring it was an "unofficial" pledge of some Tory candidates. Capital punishment had been outlawed in 1976, and many Tory candidates hoped to bring it back. • With Quebec largely Liberal territory and the West divided by the NDP and the Progressive Conservatives, vote-rich Ontario was a major battleground in the election. • Bill Davis, the long-time Progressive Conservative premier of Ontario, was a strong supporter of Clark's. In Hamilton, Davis told 1,800 supporters: "Only Joe Clark and our party can provide for the people of our province and this country the kind of strong central government this country deserves." • The weekend before the election, the parties were still virtually tied. The Liberals and Progressive Conservatives each had 37.5 per cent, with the NDP at 19 per cent. • The Liberals' support was much higher in Quebec, meaning the Tories were in the lead nationally. • The Tories succeeded in running an error-free campaign. Considering the misgivings many voters had about Clark's abilities, this was crucial if the party hoped to win the election. • The Progressive Conservatives won 57 of Ontario's 95 seats in the election. Their nationwide total of 136 was just seven seats shy of a majority. • At 39, Clark was the youngest prime minister in Canadian history. Former prime minister John Diefenbaker, not a fan of Clark's, remarked: "Canada celebrated the [United Nations] Year of the Child by electing Joe Clark as prime minister."